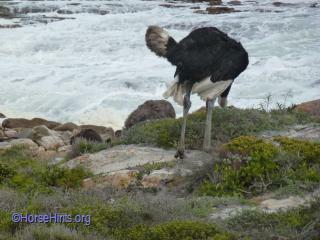 Bill and I really enjoyed the scene at the Cape of Good Hope. 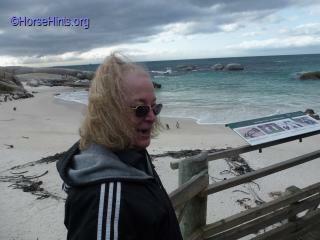 Although the weather was windy and sometimes wet we got to enjoy the beauty of the cape. 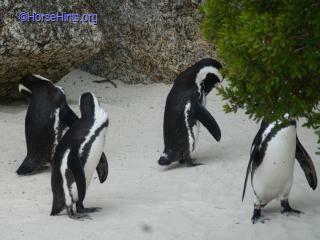 We saw the Jackass Penguins, wild Ostrich, and some type of horned animal just happily wondering around. The view of the water and sandy beach was lovely as were the sounds of the ocean waves and the fresh air. The Cape of Good Hope (Afrikaans: Kaap van Goeie Hoop...Dutch: Kaap de Goede Hoop...,Portuguese: Cabo da Boa Esperança...is a rocky headland on the Atlantic coast of the Cape Peninsula, South Africa. 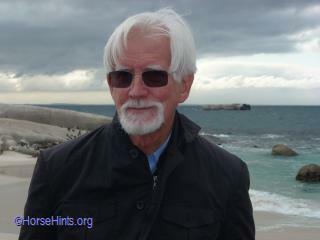 "A common misconception is that the Cape of Good Hope is the southern tip of Africa. This misconception was based on the misbelief that the Cape was the dividing point between the Atlantic and Indian Oceans. Contemporary scientific knowledge instead states the southernmost point of Africa is Cape Agulhas about 150 kilometres (90 mi) to the east-southeast. The currents of the two oceans meet at the point where the warm-water Agulhas current meets the cold water Benguela current and turns back on itself. That oceanic meeting point fluctuates between Cape Agulhas and Cape Point (about 1.2 kilometres (0.75 mi) east of the Cape of Good Hope). 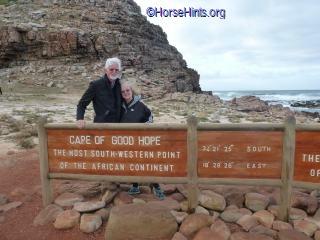 When following the western side of the African coastline from the equator, however, the Cape of Good Hope marks the point where a ship begins to travel more eastward than southward. Thus, the first modern rounding of the cape in 1488 by Portuguese explorer Bartolomeu Dias was a milestone in the attempts by the Portuguese to establish direct trade relations with the Far East (although Herodotus mentioned a claim that the Phoenicians had done so far earlier). Dias called the cape Cabo das Tormentas ('Cape of Storms'; Dutch: Stormkaap), which was the original name of the 'Cape of Good Hope'. As one of the great capes of the South Atlantic Ocean, the Cape of Good Hope has long been of special significance to sailors, many of whom refer to it simply as 'the Cape'. It is a waypoint on the Cape Route and the clipper route followed by clipper ships to the Far East and Australia, and still followed by several offshore yacht races. Just before the Union of South Africa was formed, the term referred to the entire region that in 1910 was to become the Cape of Good Hope Province (usually shortened to the Cape Province). 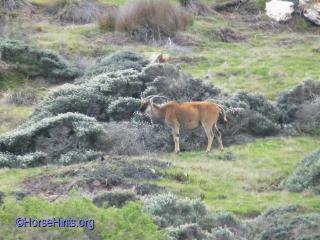 ..."
To read the rest of the Wikipedia Article please follow the link: Cape of Good Hope.